Draumr Kópa: Where have you been? What are you doing? Where have you been? What are you doing? I know it's been extremely quiet over here, but I have a good explanation: I'm studying. Yup, you heard it, I'm in the middle of my Uni exams and I'm spending my days cramming microbial metabolism and the sorts in my head. I'd rather be making blogposts for you guys, but as my education is a bit more important than that, studying wins. I'm halfway through my exams now, only 1 week and a halve to go, so I wanted to give you a little update on what I'm doing (besides the studying) and what I'm planning for the blog in the near future. As you know, I finished "The Name of The Wind" by Patrick Rothfuss last month and I started right away in "The Wise Man's Fear", the sequel. I have to say that I don't think this one is as good as the first book, but it's still awesomely well written. I'm nearly finished (as you can see), so you can expect a review of this one at the end of the month. One of my many book rituals is a yearly re-read of all the Harry Potter books and this year I've added a re-watch of all the movies as well. I don't own all of them yet (still need 1 and 6, 2 is at my other place in Ghent), but I'm browsing shops to find the last two. 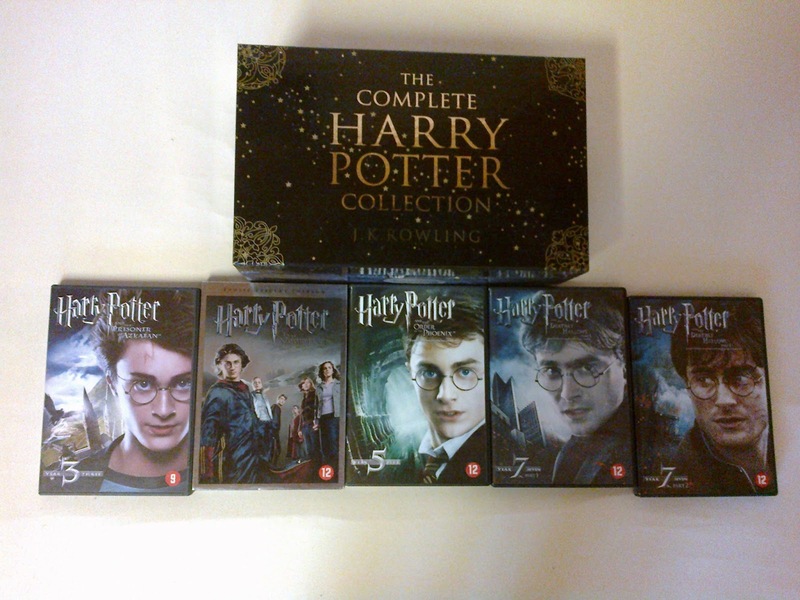 I'm currently halfway through "The Prisoner of Azkaban" and I've just watched the fifth movie. I'll definitely be making a post about this too, as soon as I've finished re-reading and re-watching all of them. I'm a Potterhead through and through and re-reading these feels a bit like coming home to me. I've grown up with these books, they are a part of my life and I'd really love to make a post about that. One of the other genres I love reading is Historical Fiction. 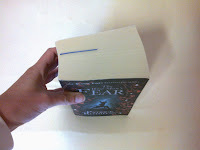 Having this blog though, has kept me from reading more books in this genre because I wanted to read Fantasy books so I could make good posts for you guys. I've decided that it's time to stop focussing on Fantasy so much and dig in to some Historical Fiction books again. 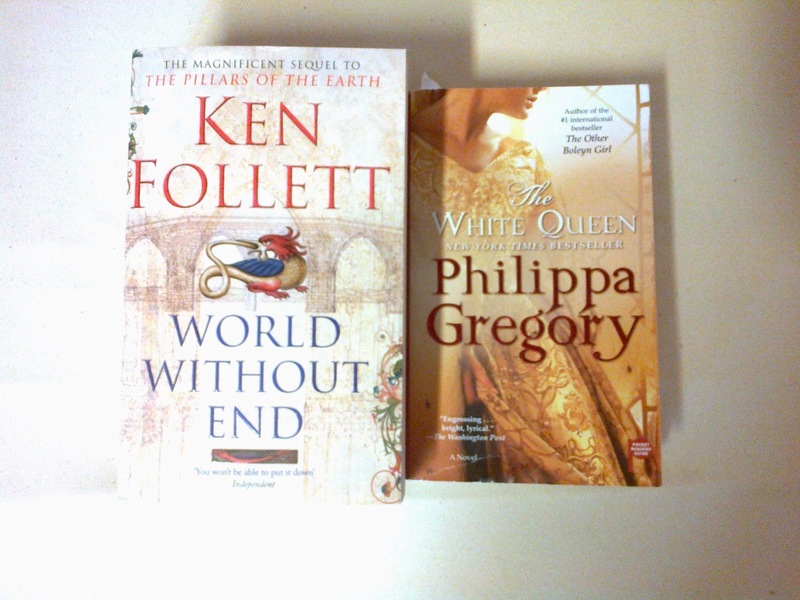 First one I'm reading is "The White Queen" by Philippa Gregory because they're filming the BBC(?) series based on this book in my birth town, Bruges. It's ok so far, I did expect more from it. 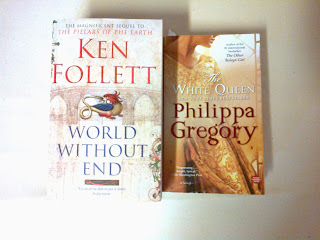 Next on the list is Ken Follett's "World Without End", because I LOVED "Pillars of the Earth". 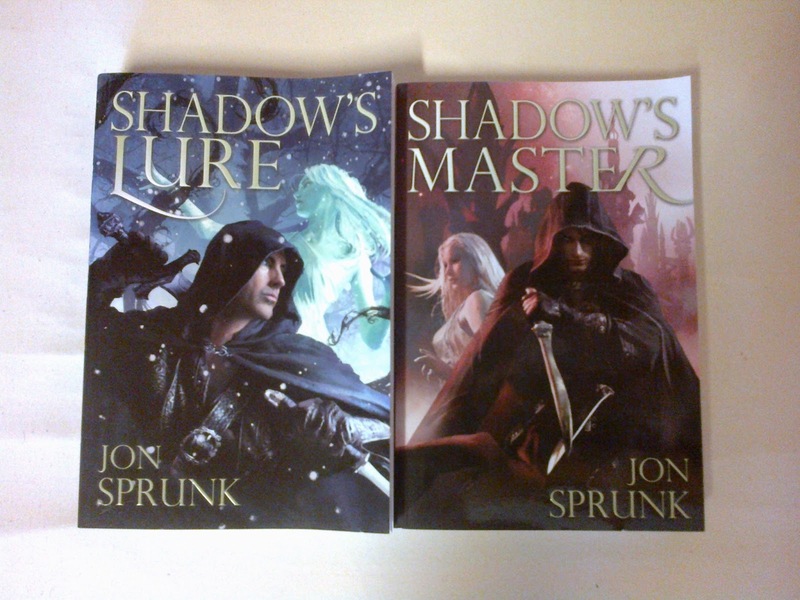 The next Fantasy books on the list are "Shadow's Lure" and "Shadow's Master" by Jon Sprunk. 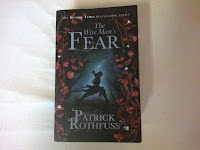 I really enjoyed the first book in this trilogy and Pyr has sent me the other two books some time ago (thank you for that!). 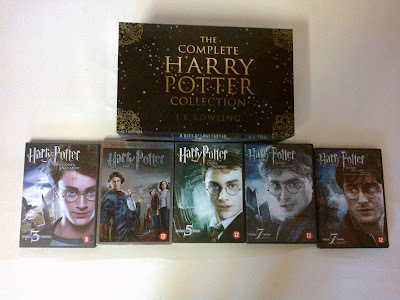 I'll be reading them as soon as I've finished my HP re-read. There are a few other books that I'll be reading the next few weeks, so lots of reviews coming your way! I'd also like to say something about "Ravenscliff", a YA Fantasy/Horror series I absolutely adored when I was younger. The author stopped after the third book, which ended on a huge cliffhanger. I've been quite frustrated about this for many years now, but earlier this week I got some great news in my mailbox! More about this very soon! That was it for now, I hope you're all enjoying the nice weather (if it's nice where you are, it's been sunny and warm these last few days in Belgium!) and I'll see you all very soon! All seams lovely. I am glad you are fine. Jon Sprunk looks amazing and also the YA book ;) .